2017 ended as Mexico’s most violent year in recent memory, with 25,339 homicide cases — more than during the peak year of inter-cartel fighting in 2011. Crime and violence have steadily increased in Mexico over the past three years, and the bloodshed over the past decade has come despite, and often because of, the Mexican military’s and federal police’s presence in the streets. Speaking before the Senate Intelligence Committee on Feb. 23, Army Gen. Robert Ashley, the head of the Defense Intelligence Agency, described a key trend that has contributed to the violence. The dynamic Ashley described — the removal of criminal leaders leading to fragmentation of their groups and further violence — has been recognized as a failing of the “kingpin strategy” pursued, with strong U.S. backing, by Mexican President Enrique Peña Nieto and his predecessor, Felipe Calderon, who deployed troops to confront domestic insecurity in 2007. The kingpin strategy targets high-profile criminal leaders, with the idea that their capture or death will weaken their organization. 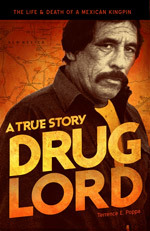 Ashley noted that under Peña Nieto, Mexico has brought down more than 100 high-profile cartel figures — among them Sinaloa cartel chief Joaquin “El Chapo” Guzman (twice), Knights Templar founder Servando “La Tuta” Gomez (captured because his girlfriend brought him a cake), and Hector Beltran Leyva and Alfredo Beltran Guzman, both of whom lead of the Beltran Leyva Organization, an erstwhile Sinaloa cartel ally. But the hoped-for security gains haven’t materialized.